Plans to reopen part of Kidsgrove sports centre under a community management model could take another positive step forward. The Council’s Cabinet is considering making a one-off capital contribution of £300,000 towards a significant refurbishment programme that includes improvements to dated “dry side” facilities. 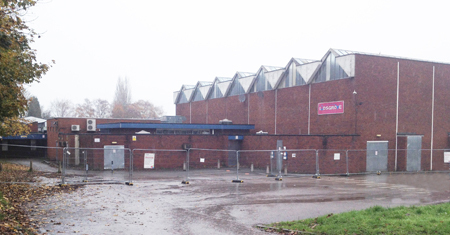 The Borough Council and Staffordshire County Council are working with Kidsgrove Sports Centre Community Group, a Charitable Incorporated Organisation (CIO), to develop viable proposals for volunteers to reopen the sports centre. Both councils signed a Memorandum of Understanding in February this year agreeing to work together to support the group in their goal until aspirations to replace the building with a new leisure centre in the long-term are achieved. The draft refurbishment plans, involving an initial budget of £700,000, feature improvements to the reception, gym, aerobics studio, changing rooms and a new sports hall roof. The sports centre, managed by the borough council, closed in June 2017 when the joint use agreement for its management came to an end. Council Leader Simon Tagg said: “The availability of sports and leisure facilities is really important to residents in Kidsgrove. It is great news that we are now very close to being able to refurbish and reopen the sports centre and we welcome the fact that this will be managed and operated by the community themselves. Kidsgrove Sports Centre Community Group also has funding applications being considered by Sport England. Mark Clews, chairman of the community group, added: “Subject to the recommendation being approved, this is absolutely fantastic news for the community and something we’ve been working towards for the past 14 months. The Cabinet meeting, which is open to the public, takes place at Castle House on Wednesday, 19 September at 2pm.